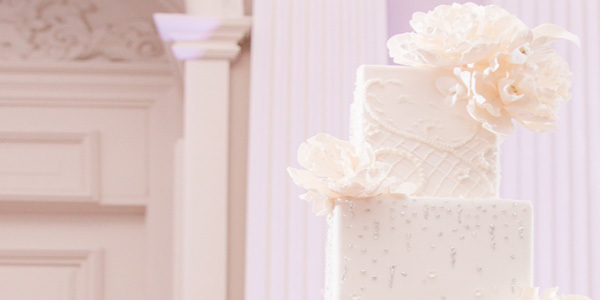 Are you searching for a beautiful custom wedding cake? Are you looking to serve your guests the most delicious wedding cake ever? 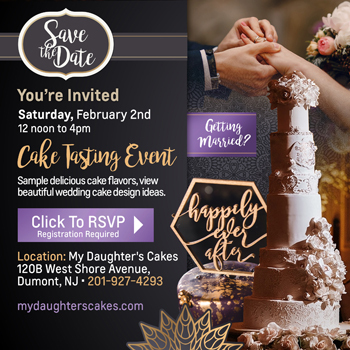 I'm thrilled to share that My Daughter's Cakes will be hosting another Wedding Cake Tasting Event on Saturday, February 2nd, from 12 Noon to 4 p.m. This fun event will be at our cake shop located at 120B West Shore Avenue in Dumont, New Jersey. We are conveniently located to all major highways in Northern New Jersey, New York City, and the Hudson Valley. Our cake tasting event will be held as an Open House. You can feel free to stop by anytime between 12 Noon and 4 p.m.
What's in store? 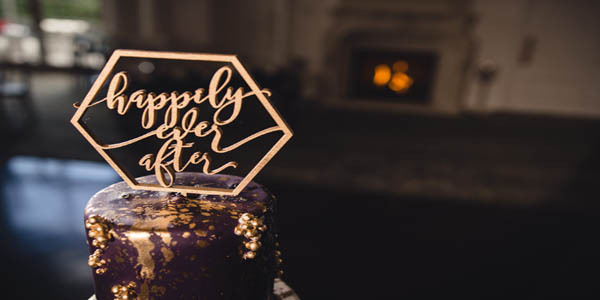 We'll have beautiful wedding cake designs that will inspire you, delicious samples of select cake and filling flavors, along with swanky gift bags. I will be on hand to answer any questions and talk with you about cake designs and popular choices for cake flavors! Our last Open House Cake Tasting Event was a hit and I know this one will be, too. Registration is required so that we know how many guests to prepare for. Click on the image below to register for this event! 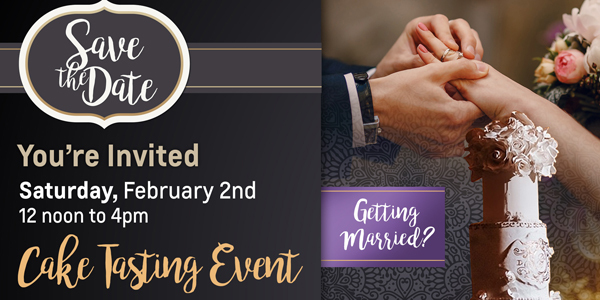 Please note - this event is for engaged couples and their families who are looking for custom wedding cakes, custom engagement cakes or custom bridal shower cakes. We regret that we are not able to accommodate who may be looking for children's cakes or other custom cakes.